The fund, initially worth a total of £2 million, is in line with the Institution of Mechanical Engineers’ original statement of purpose set out by founder George Stephenson in 1847 to “give an impulse to invention likely to be useful to the world”. It is the first investment fund of this kind by the Institution, and indeed any UK Professional Engineering Institution. The Stephenson LP Fund is independently managed by specialist venture capital company Midven Ltd. and aims to invest in innovative companies engaged in mechanical engineering over the next few years. The Fund’s first five investments are into blade compressor company Lontra, fuel cell catalyst developer Amalyst, sensor company Oxsensis, fusion energy company Tokamak Energy and space technology business Oxford Space Systems. “These investments by the Institution of Mechanical Engineers are not just about providing monetary investment, but about connecting these and other companies to the vast resources and network of the Institution and its membership. “The Fund fulfills the Institution’s original purpose to give an impulse to invention and also help companies overcome the investment hurdle between Research and Development and bringing a product to market. The Institution of Mechanical Engineers was established in 1847 and has some of the world’s greatest engineers in its history books. It is one of the fastest growing professional engineering institutions. Headquartered in London, it has operations around the world and over 111,000 members in more than 140 countries working at the heart of the most important and dynamic industries such as the automotive, rail, aerospace, medical, power and construction industries. 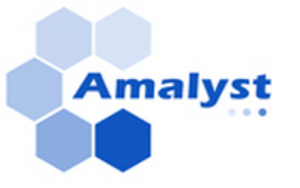 Amalyst, based in Birmingham, is a spin-out from University College London (UCL), which has developed a class of catalyst for fuel cells (which generate electricity from hydrogen) and electrolysers (for the production of hydrogen) which are not based on platinum. The Amalyst catalyst aims to be a drop-in replacement for “gold standard” platinum catalysts but is significantly cheaper per unit of power. The progress made in the development of fuel-cell technology as well as hydrogen production has led to growing interest in the automotive sector to develop the next generation of hydrogen fuel-cell vehicles. Lontra’s Blade Compressor® is a step change in air compressor technology, best imagined as a piston and cylinder, but with the cylinder wrapped into a ring doughnut shape. The design involves a constantly open intake port, without valves. As the piston rotates, it draws in air behind it and compresses air in front of it in an almost continuous cycle. Blade Compressor® has a unique oil-free geometry providing internal compression with very low leakage and low inlet and outlet flow losses giving a machine that is quieter, smoother and highly efficient. A low pressure (1Bar/15psi) Blade Compressor® has already been proven in a trial with Severn Trent Water, where reductions in energy consumption of over 21% were observed. The technology is now licensed for production within the municipal and regulated waste water sector to Sulzer, a global leader in pumping equipment with 21 manufacturing facilities worldwide. The multi-million pound deal will see aeration equipment incorporating Lontra’s technology sold across 150 countries. Harwell-based OSS launched in September 2013 to develop a new generation of deployable structures for space that are lighter, less complex and lower cost than existing products in commercial demand. Using conventional, as well as new proprietary materials, OSS is rapidly developing a range of deployable antennas, booms and panel technologies. These electro-mechanical structures are primarily focused on supporting a new generation of micro-satellites for a range of space based services. Oxford Space Systems has secured a number of collaborative development contracts with the largest names in the European space industry and is on target to achieve in-orbit demonstration of its disruptive technology at the end of next year, setting a record in going from concept to flight in under 3 years. 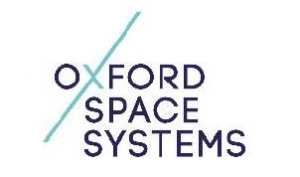 Founder and CEO of Oxford Space Systems, Mike Lawton, said, “I’m delighted that the excellent progress we’ve made since founding the business in September 2013. This has placed us in a good position to close our planned second round of funding which has included the Stephenson Fund. We’re very pleased to have secured investment from the fund as in addition to the gravitas of an association with the Institution of Mechanical Engineers, we’re looking forward to mutually beneficial opportunities to attract young talent to world of mechanical engineering”. Oxsensis harsh environment instrumentation enables performance enhancement in critical applications in Aerospace, Energy and Oil and Gas. With Oxsensis’ optical sensors, invisible light is sent down an optical fibre and reflected from a piece of nano-machined sapphire, which is positioned in an extreme sensing application such as the wall of a gas turbine combustion system. This light is unaffected by high temperature, and the sapphire crystal is very resilient to the hostile environment – with technical differentiators being high temperature capability (1000 °C), immunity from electromagnetic interference, multi-measure and sensing, intrinsically safe sensors, and the ability to deploy at km’s distance. Oxsensis has developed partnerships with major industrial companies including GE Aviation and Parker Aerospace. The company is using its core intellectual property to build a portfolio of customers and products in the high performance instrumentation market. The company’s instrumentation is aimed at enabling tangible improvements in efficiency, emissions, and performance in energy intensive capital equipment such as aero-engines, power stations, and oil production systems. Tokamak Energy aims to accelerate the development of fusion as a low carbon energy source. Tokamak Energy’s approach uses recent advances in high temperature superconductors and the inherent performance advantages of spherical tokamaks to deliver a faster, more economical means of achieving fusion power from compact modules. The solution is scalable and modules could be built in factories or shipyards for rapid deployment. Tokamak Energy was announced in August as a Technology Pioneer 2015 by the World Economic Forum http://www.weforum.org/techpioneers further recognition that the company has an exciting plan to tackle a major challenge.